The fashionable star is absolutely killing us with style these past couple of days. Not only has there been a flood of Tumblr memes of Caitlyn looking better than her ex-counterpart Kris Jenner, but look at those legs! I guess that’s what you get from being the 1976 Olympic decathlon champion! 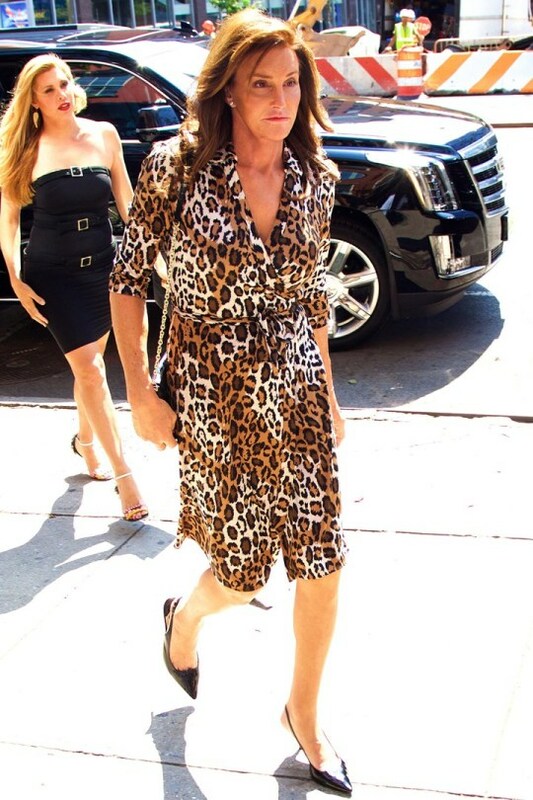 And truth be told, we’re rather liking Caitlyn way better than the old paunchy, boring old ‘blah’ Bruce. Even his son (with actress Linda Thompson), Brody Jenner, stated that he gets along with the new Caitlyn better than he’d ever gotten along with Bruce. What a shocker there! Here were Caitlyn’s looks these past few days, what do you think? And what’s more, according to sources cited by Glamour magazine, this 65-year-old is reportedly being ‘begged’ by famous designers to wear their clothes. Well really, what’s not to love about the new Caitlyn? She has the cheekbones and Amazonian height to boot, and looks like the lovechild of Jessica Lange and a dark brooding Italian hunk. I mean, look at that pout.